Material must be original, reflect the integrity expected of scholarly communication, and demonstrate a coherence and unity that makes the paper both understandable and interesting. Before submitting an article, please review the following suggestions. Original manuscripts received in correct form serve to expedite the review process, others will be returned to author. Spelling, punctuation, sentence structure, and the mechanical elements of arrangements, spacing, length, and consistency of usage in form and descriptions should be studied before submission. Written manuscripts should be in English. Manuscript must conform to the style of the Publication Manual of the American Psychological Association (APA), 6th Edition. Manuscripts should be double -spaced, and font face must be Times New Roman 12 point. Paper Size must be A4 (21×29.7) (top, bottom, left and right 2.5cm space). All published articles in PER are published under Creative Commons Attribution License (CC-BY 4.0). Please click here for details. Submit your manuscript in WORD FORMAT – Microsoft Word (.doc or docx ) Do not use any word processing options/tools, such as–strike through, hidden text, comments, merges, and so forth. Due to the academic focus of this publication, the use of personal pronoun (I, we, etc.) and present tense is strongly discouraged. Because this is an electronic journal the length of papers may vary. The length of your paper should be appropriate to the topic and focus. Each article should include an informative, comprehensive abstract of 200 to 300 words. This abstract should succinctly summarize the major points of the paper, and the author’s summary and/or conclusions. Each article should include at least 3 keywords. All tables (composed according to APA 6th) and figures must be embedded in the manuscript near the first reference to the corresponding table. Tables and figures MUST be no wider than 500 pixels (5.25″). References must conform to the style of the Publication Manual of the APA6th Edition. All reference titles from other languages should translate in English and should give accompanied by original reference title. If you use a source that was cited in another source, name the original source in your signal phrase. List the secondary source in your reference list and include the secondary source in the parentheses. Johnson argued that… (as cited in Korkmaz, 2009, p. 71) (Note: The use of secondary sources should be limited). Author, A.A. (Year of publication). Title of work: Capital letter also for subtitle. Location: Publisher. Author, A.A., & Author, B.B. (Year of publication). Title of chapter. In A. Editor & B. Editor (Eds. ), Title of book (pages of chapter). Location: Publisher. Korkmaz, Ö. (2010). 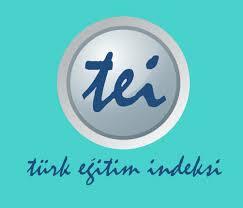 Eğitim bilimine giriş [Introduction to education science]. Ankara: Mevlana Publ. If the original version is used as the source, cite the original version. Give the original title, and, in brackets, the translation. Authors are named by last name followed by initials (closed up); publication year goes between parentheses, followed by a full stop (period). Only the first word and proper nouns in the title and subtitle are capitalized. The periodical title has main words capitalized, and is followed by the volume number which, with the title, is also italicized and then the DOI. Provide the issue number ONLY if each issue of the journal begins on page 1. In such cases it goes in parentheses: Journal, 4(1), pp–pp. 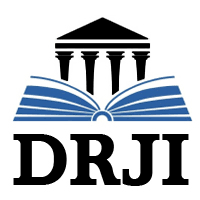 If the DOI is not available and the reference was retrieved online, give the URL of the journal home page. No retrieval date is needed. Contributor, C. (Year, Month). Title of contribution. In C. Chairperson (Chair), Title of symposium. Symposium conducted at the meeting of Organization Name, Location. Author, A.A. (Year). Title of thesis. (Unpublished master’s thesis). University of Missouri, Columbia. Authors will not pay a fee for review process or publication.